Books are always a good bet for Christmas, so I’ll point you to the 2013 releases by Metro Vancouver Christians that I’m aware of. Without looking too hard, I’ve come up with at least 15 good books. Why not encourage one of two of the authors and surprise a loved one with a locally produced cultural product? When Margaret Atwood likes you and your book, you know you’re doing something right. And when she tweets her 451,075 (!) followers – “Met 2 real life #GodsGardeners #maddaddam today! http://www.arocha.ca Planted, by Leah Kostamo http://www.wipfandstock.com They walk the walk!” – you will be very pleased indeed. 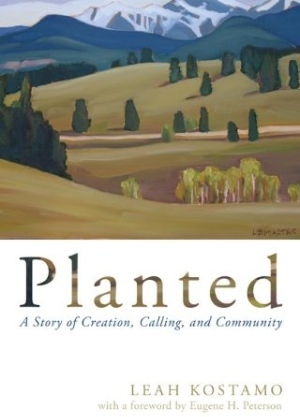 Leah Kostamo launched Planted: A Story of Creation, Calling and Community earlier this fall, and had a chance to talk about it December 3 on Context with Lorna Dueck, a live studio audience TV show filmed at the CBC building in Toronto. She also met Margaret Atwood, who was a guest on the show with her. Leah has been receiving a lot of positive response to her book, in which she tells some really good stories based on ‘walking the walk’ for 12 years with her husband Markku at the A Rocha community in South Surrey. A Rocha was the first Christian environmental centre established in Canada, and is part of an A Rocha network with centres in 19 nations. An illustration of humility, coupled with humour, comes to mind immediately. Leah says in the book: “I am boldly going to take credit for landing A Rocha in the Little Campbell Valley Watershed,” then notes that “I zeroed in on this bit of geography for purely selfish reasons” (her twin sister was living about an hour south of the border). God works in mysterious ways. The young woman, it turned out, does not read books, but she did take the proffered gift. Leah doesn’t lecture either; she tells refreshing and appealing stories from her own experience. This book would be a great gift for anyone concerned about the environment, which must cover at least 90 percent of BC’s population. It is a Christian book, but it can be appreciated by anyone. I remember hanging around with Jonathan Wilson some 30 years ago in the Institute for Public Discipleship, a group urging evangelicals to take social justice issues more seriously. It is really good to see how he has carried on engaging such issues – and others – as an academic; he is now a professor of theology at Carey, at UBC. God’s Good World would make an ideal companion gift with Planted. 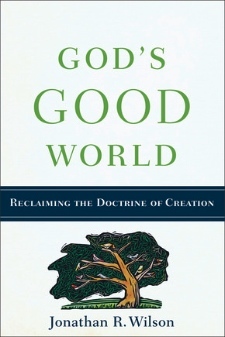 It makes the case that the doctrine of creation has often been neglected in Christian theology. Jonathan explores the ways in which a mature doctrine of creation can help the church think practically about contemporary issues, including creation care, sexuality, technology, food and water, and more. When Sandra Vander Schaaf wanted to celebrate the launch of her new book, she held a dance party at the Fan Club downtown – which was very appropriate, given the topic. “It is hard to speak of faith in a world so shamefully and tragically dominated by religious extremism, ignorance, and intolerance. But I believe in the passionate embrace of Grace, the passionate embrace of the Divine . . .
“It is hard to speak of flesh in a world where bodies are so often treated as commodities, where we are taught to despise our own bodies and idolize the carefully contrived perfection of cardboard cut-out celebrities, all in the interest of a consumption driven culture and economy. But I believe our bodies matter so much more than this. I believe bodies are sacred . 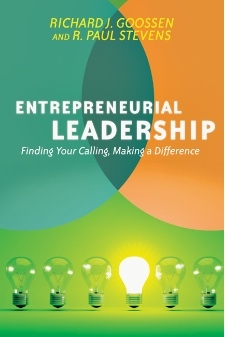 . .
I’ve seen these two men in action for years now – most recently at the Entrepreneurial Leaders Conference last month – and I have no doubt that Entrepreneurial Leadership: Finding Your Calling, Making a Difference is a very useful book. But you don’t take my word for it; there are at least 30 recommendations by an illustrious network of business people, academics and theologians from around the world on the book’s Amazon page. Rick Goossen and Paul Stevens ask, “What does good theology have to do with good entrepreneurship? 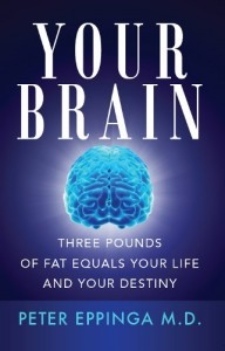 Rick is an entrepreneur himself, but he has also published several books based on interviews with other entrepreneurs. Paul is a pastor turned academic who has consistently encouraged Christians to practice their faith in their working lives. Together, they have written what many are already declaring to be the essential resource for Christian entrepreneurial leadership, based on exhaustive research, practical experience and decades of teaching marketplace theology. This book isn’t for everyone, but for any creative young person or for anyone involved in business, it would be ideal. 1. Karl Jaspers’ construct of the ‘axial age’ envisions the common past (800 – 200 BC), the time when Western society was born and world religions spontaneously and independently appeared out of a seemingly shared value set. 2. 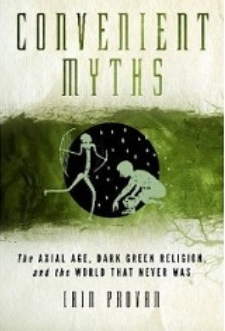 Conversely, the myth of the ‘dark green golden age,’ as narrated by David Suzuki and others, asserts that the axial age and the otherworldliness that accompanied the emergence of organized religion ripped society from a previously deep communion with nature. Both myths contend that to maintain balance we must return to the idealized past. I have to admit that I’ve rather missed out on the significance of the axial age and the dark green golden age. Also on their interaction. In other words, I’m among the masses, Missing in Action in this great battle, and I have no doubt that I would benefit from reading this book. What I do know already is that we are remarkably fortunate to have the likes of Iain Provan in our midst, and I’ve always found his public lectures well worth attending (he’s a solid church soccer coach as well). And when I read a good theological guide such as Scot McKnight saying that “In Convenient Myths Iain Provan not only challenges deep (and deeply mistaken) myths, but destroys them on the rocks of rugged history,” I’m sold. This one’s cheating slightly. Though Peter Eppinga was in Vancouver, at UBC, until earlier this year, he is now a Family Practice Resident in Calgary. He’s got an interesting story. Equally unthinkable, a few years earlier, was the likelihood that Peter would be sitting in that seat at all. Brought up by his evangelist father Gerry and his Haida mother Beatrice – with whom he still works in Christ for First Nations – he was headed down a very different path before turning to God during his last year of high school. Church for Vancouver is all about unity between Christians and highlighting ways in which the church is at work in the surrounding community. For that reason, I consider Being the Church in Abbotsford an exemplary work. 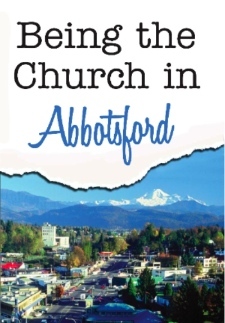 The editors are also keen to disabuse readers of the common assumption that the Fraser Valley is the Bible Belt and that Abbotsford is the buckle of that belt – with all the attendant caricatures. The editors, along with several other writers, demonstrate that the reality is far more complex and multi-layered than that. A couple of great spots to find these books are Regent Bookstore out at UBC (Christmas sale, December 5 – 7) and Pilgrim Book & Bible at 2714 Kingsway in East Van. I’ll look at more books over the next couple of weeks, including God in My Everything (Ken Shigematsu), Jesus Feminist (Sarah Bessey), Missional God, Missional Church (Ross Hastings) and many more.